Science shows how cannabis could be a complete game-changer for breast cancer. And first we have to lift any restrictions! Breast cancer claims hundreds of thousands of lives every year. According to the World Health Organization, breast cancer is the most common cancer among women worldwide. In fact, it’s the second leading cause of cancer death among women. Just to give you an idea of how devastating the situation is, it’s estimated that every 2 minutes a woman is diagnosed. And every 13 minutes a woman dies from breast cancer. Current treatment options are costly and can include side effects like fatigue, pain, nausea, constipation, and throat sores just to name a few. Patients need another option – a natural option. Here are some of the incredible ways cannabis can treat breast cancer, especially when administered sublingually and topically. Cannabis works best for growths or lumps when taken sublingually and also applied topically. 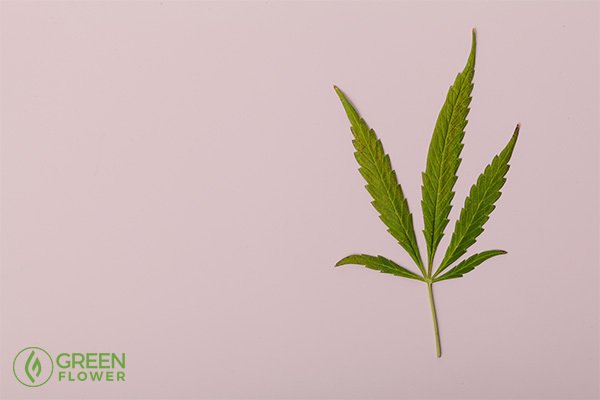 In order to better understand how cannabis helps breast cancer, it’s important to know how cancer develops in the first place. Breast cancer occurs when a malignant tumor grows in the breast. A malignant tumor is a group of cancerous cells that either grow or spread (metastasize) to other parts of the body. While breast cancer occurs primarily in women, men are not immune. It’s estimated that over 2,500 men will be diagnosed with breast cancer this year alone. CBD (cannabidiol) contains cancer-fighting properties. A study in 2011 revealed CBD helped facilitate apoptosis and autophagy. Essentially what this means is CBD tells cancer cells to commit suicide and then helps clean everything up, replacing the whole mess with healthy cells. CBD helps kill cancerous cells more effectively by relying on the body’s own intuitive processes. 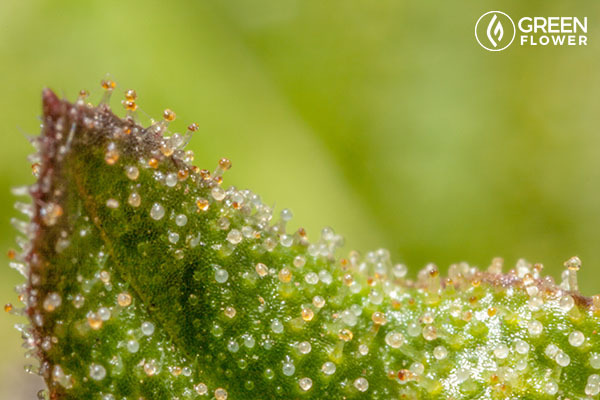 These mushroom-shaped crystals are the trichomes which contain most of the plant's active cannabinoids. Studies now suggest THC also possesses powerful anti-cancer effects. Scientists in Spain discovered THC causes cancer cells to die via autophagy by helping to regulate cell cycles of life and death. THC also reduces the size of tumors. A study published in 2014 found that high doses of THC reduced the size of breast cancer tumors in mice. The findings revealed that THC did this by activating specific cannabinoid receptors within the body. While the same study has yet to be performed on humans, the results are no less astounding. One of the reasons cancer is so dangerous is its ability to spread throughout the body. Cancer cells can reach nearby tissues as well as lymph nodes and organs. In some cases, cancer can even spread to remote locations within the body. When this happens, it is called metastasis. 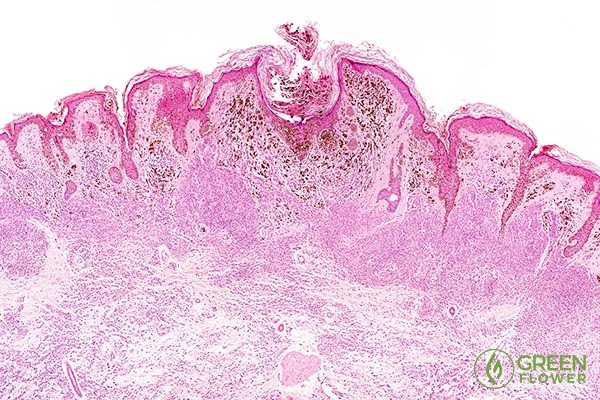 Metastasis is the development of secondary malignant growths. For example, breast cancer that spreads to the liver is metastatic cancer. It is also known as stage IV or advanced breast cancer. Scientists now believe metastatic cancer may actually be linked to one specific gene – the ID-1 gene. In 2007, a study in California revealed CBD inhibits this gene. In fact, CBD turns off the trigger associated with the development of aggressive breast cancer cells. Wondering whether THC or CBD is more effective for treating breast cancer? Turns out, you may need both. While THC and CBD both possess cancer-fighting properties, their effects are amplified when combined. A study published in the British Journal of Pharmacology found that one of the most effective ways to kill breast cancer cells was to harness CBD and THC. While both CBD and THC can reduce cancer progression, they each do so through unique anti-tumor pathways. Combining these cannabinoids maximizes the treatment effectiveness. Particularly for patients facing metastatic breast cancer. It is what many scientists call the entourage effect, the idea that cannabinoids have greater therapeutic value when combined. Cannabis is not only capable of treating the core of the condition. It can also provide relief from the side effects of traditional treatment. In fact, this list of side effects is just the beginning. Meanwhile, cannabis is a proven treatment for each of these ailments. Not to mention cannabis has an extremely low toxicity level. Breast cancer survivors are increasingly sharing how cannabis has helped them. Whether medicating for relief from the side effects of chemotherapy or helping treat their condition via tincture and cannabis topical, the therapeutic value of cannabis is evident. In this video, Mara Gordon gives you tips on how to get started, dosing protocols, choosing cannabis products, and more. How Are the Effects of Eating Cannabis Different Than Smoking It?